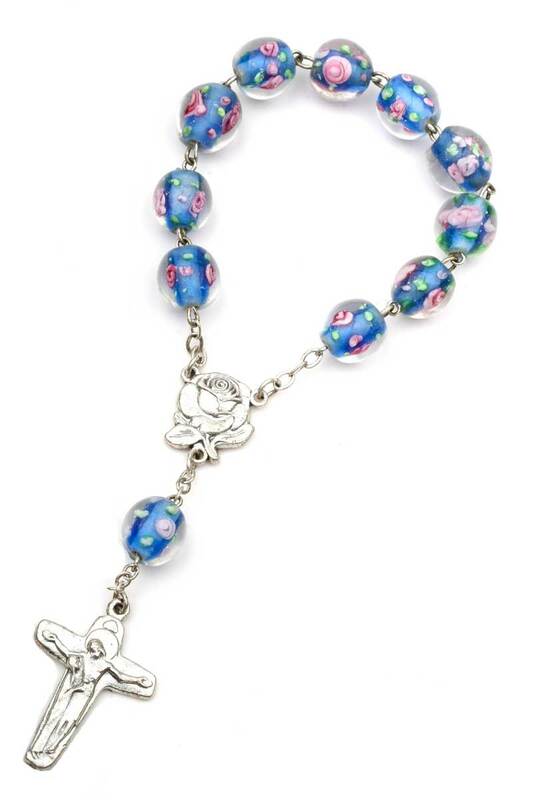 Single decade Catholic rosary beads made in Italy for sale. Large 10mm glass beads with painted images of flowers. Beads are round, smooth and easy to grasp. Length end-to-end 5.5"